What I meant by that was that an automatic translator works fine on the German bits but muddles up the already English parts a bit. We already know what it says using an online translator. Well, of course it's not perfect being a machine translation and all, but you can get the gist of it using Google's translator. I only know a teeeny-tiny bit of German: ACK NEIN. 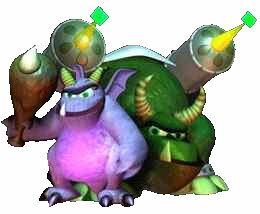 The person my mom is dating can speak German so I could get him to translate the words and find out what it says about The Legend of Spyro: The Eternal Night! It says so in the German press release at the bottom of this page. The names of things are in plain English in amongst the German so using a translator only makes it more garbled. I agree Dont ask and Dragginwings if Ignitus cant be playable (maybe Cynder might be playable too!) and if Volteer and Terrador dont come back then I wont like the game. I hope so too. Another thing I hope for is playable Ignitus , and if he's playable, he'd better be able to fly! Will Volteer and Terrador be back in this game? because in the features section it says Spyro, Sparx, Ignitus, Cyril and Cynder are all confirmed to return. I hope Volteer and Terrador will be back because they were my favourite characters in ANB. i dont get it have they just got rid of the dark master or do gual and the darkmaster unite? To the best of my knowledge Dark didn't acknowledge that, Tiff. I said the Ape King was named Gaul because a german site translated to sound like that. It could also mean there is an ape king who is gall (irritating or the like). I think I was the first to say that, not Dark, and I'm not fighting for credit - just not sure Dark has said if he thinks it is true or not.